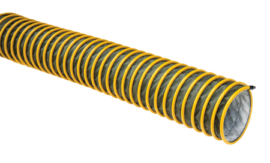 Flexible heat-resistant hoses use for exhaust fumes extraction. 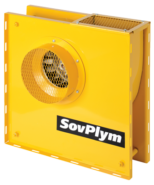 Suitable for exhaust temperatures up to 200°C. Available in different diameters. Consult your local SovPlym distributor. 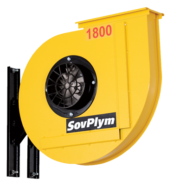 Motorized exhaust reel for truck depots and service stations. Hose is pulled up/down at a click of a button. Ideal solution for premises with high ceilings. 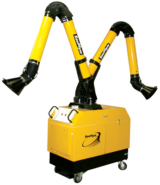 Straight rail exhaust extraction system for service stations, garages, repair and production workshops. Flexible, easy to chage layout. 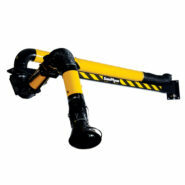 Can be equipped with different nozzles. 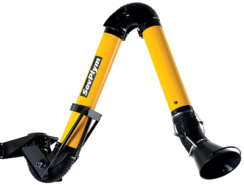 Suitable for vehicles with two exhaust pipes. 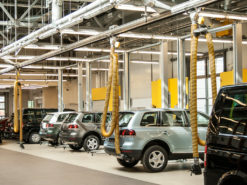 Loop extraction system for repair shops, inspection areas and production facilities. 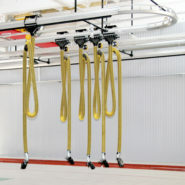 Carriages, hoses and nozzles follow the vehicle along the rail system. When vehicle is left, all devices automatically return to start position.